Site Agent is Legally Bound to Represent Best Interests of Builder — Not the Home Buyer. When considering buying a new construction home — just as with buying an older home — having your own real estate agent is essential. When you visit a model or the Builder’s sales office, you will meet a “Site Agent” who will answer questions about the homes. 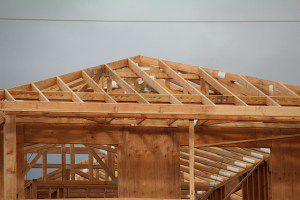 But make no mistake: the Site Agent is the Builder’s representative, bound by the terms of a listing contract that specifies his duties and the commission he will get from the Builder. You, as the Buyer, need to protect your interests by having your own agent. No Cost to Buyer for Having an Agent. The protection of having your own agent comes at no cost to you, since it is the Seller — in this case, the Builder– who pays the commission. When Builders come up with the budget for marketing their homes, they include the costs of paying two agents. If a Buyer goes to a Builder without a real estate agent, either the Builder’s Site Agent or the Builder himself will pocket the money that had been budgeted for a Buyer’s agent. What, exactly, will come with the new home you buy? Will it have all the features of the model you look at? If so, will any of those features cost extra? Pricing on new homes can get complicated and it helps to have an agent reviewing the details — all of which must be in writing. In most cases, Builders are unlikely to drop their prices because it sets a precedent for their future home sales. But there are ways to negotiate with the Builder for other terms that can add value for the Buyer. One is to have the Builder pay closing costs. Another is to throw in upgrades. Your agent can help negotiate those extras. There is an exception to a Builder’s reluctance to drop a price: when the home has been sitting on the market too long. Your agent can help you figure out which homes in the Builder’s inventory might be subject to price negotiation. Most big Builders use long, detailed contracts. An agent can’t take the place of an attorney (which you may wish to consider using), but he can help you go through the agreement to explain terms. Should you use the Builder’s preferred lender? Often Builders will offer an incentive for a Buyer to do so. And sometimes the Builder’s preferred lender offers a great deal. But you should still shop around. Your agent will be able to suggest other lenders to contact to compare rates. If your experience with the Site Agent or the Builder is not satisfactory, an agent can take some pressure off you because he will be the one dealing with the Builder directly. Your Buyer’s agent can advise you about inspections, possible construction issues, and other details. Your Buyer’s agent will help you with comps to determine whether the Builder’s price is a fair one. A good Buyer’s agent is skilled in negotiation. When a Builder seems inflexible, your agent may be able to get some movement by negotiating with the Site Agent. Buyers Must Register Their Agents Before Going to the Builder. Nearly all Builders require that the Buyer’s agent accompany the Buyer and register as the Buyer’s agent before or during the first visit. Buyers who fail to take this step could end up being unable to rely on their own agent for representation. Even if you decide to visit a builder without your agent, be sure to call ahead and register your agent as your representative before you head out to any new home construction site.  If you are considering buying a new construction home, give me a call at 904-570-1216 or email me at jonkbrooks@gmail.com.